After leaving the Entity Gaming squad earlier this year and being MIA for the majority of the year so far, Raunak ‘Crowley’ Sen and Moin ‘No_Chanc3’ Ejaz have joined forces to form Team Signify. The Signify roster will be an International roster and includes several top tier SEA stars like Skemberlu, Owa and xRag. Following the successful conclusion of the Cobx Indian Esports Championship, Team Signify is COBX Gaming's next venture in the esports industry. While the roster is yet to play any official matches together it does appear to be one of the strongest teams in the Indian region. All of the players have played on top teams before, and all of them have the experience of playing in top tier-SEA LAN tournaments. With a number of tournaments including Dew Arena Season 2, ESL India Premiership – Fall Season, the Indian Esports Championship Season 2, and the ASUS ROG Masters Season 2 set to kickoff, this was the prime time to finalize their roster. 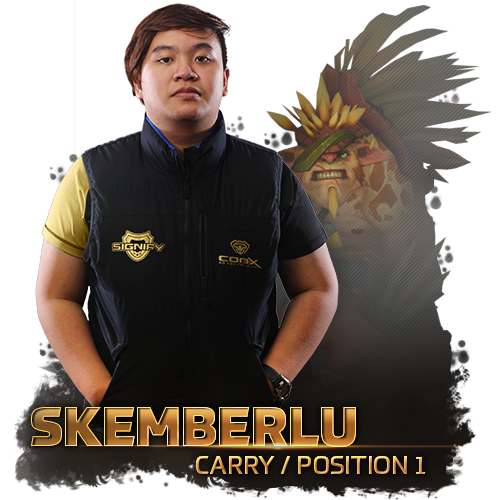 Skemberlu is one of the most talented carry players in the SEA scene. The famed Pinoy star rose to stardom in 2016 with Acion Arena and has previously also been a part of the Arcanys Gaming side. His Faceless Void performances when he was on the Acion Arena team made it one of the most feared Player-Hero combinations of the 6.88 patch in the SEA scene. He had an obscene 83.33% winrate with the Void. If he can replicate the form he displayed during the earlier part of 2016, Signify will certainly be the team to beat in the Indian Region. 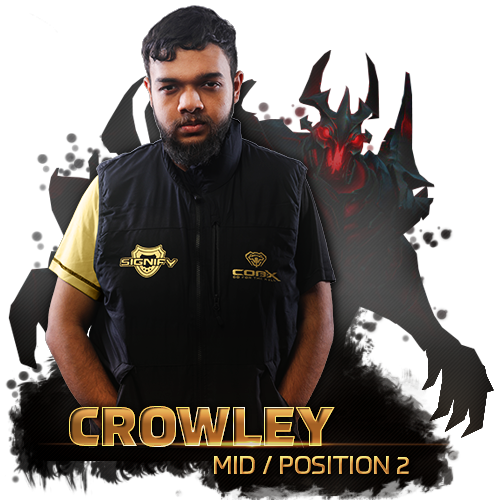 Crowley is a community favorite, one of the veterans of the Indian Scene, He started his career way back in in the Dota 1 days when the Indian Esports Scene was just beginning to take shape. He has competed and won several tournaments in several teams and was last seen as part of the Entity Gaming roster who went to Malaysia to compete in the ASUS ROG Masters. He has long been tipped as having the best mid mechanics in the Indian scene, he plays in a somewhat more aggressive manner than other top-tier Midlaners and effectively epitomizes ‘The Playmaker’ persona. 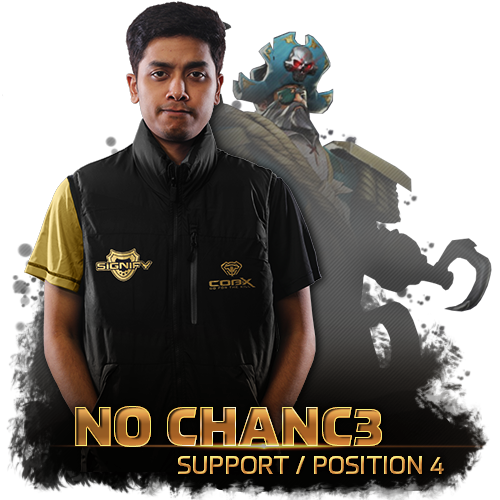 The charismatic Midlaner was one of, if not the, most integral cog in Invisible Wings’ great success in TE Cup 2016 and Dew Arena 2016. However, he has never been able to find a place in a stable top tier team after his run in the old Oblique Gaming roster. This will be his chance to prove how good he really is; Especially since he has been named as the captain of the team! 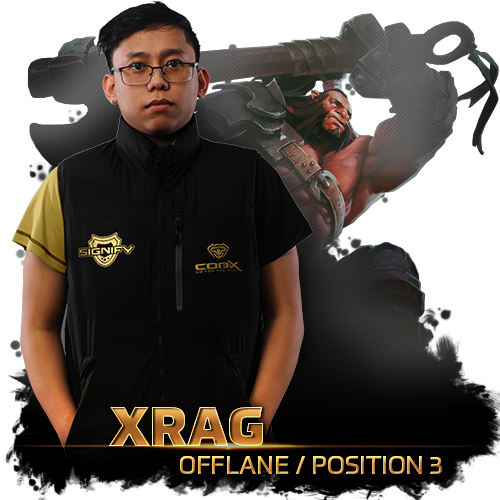 Xrag was one of the most mechanically skilled midlaners in the SEA/Oceanic Dota 2 scene. He played for several top tier Australian Teams like Spac_ Creators, Can’t say Whips and Da Teletubbies. So it was quite a surprise to us when it was announced that he would be plying his trade in the offlane position. He now joins a growing list of ex-midlaners (S4, Ab1ng) transitioning to the offlane. It will be interesting to see if he can keep performing as well as he did in the past in an unfamiliar position. If you attempted to find a highlight reel of a flashy play that the ex-Beyond Infinity captain has made, you’re unlikely to find one. But he is potentially the most solid, consistent and best support player in India, No_Chanc3 has proven time and time again that he’s comfortably among the greatest minds in the SEA Dota 2 scene at the moment. He was the tactical mastermind behind Beyond Infinity as well as Entity Esports’ success in major SEA tournaments like the SEA Kappa Invitational Season 2 and the ROG Masters 2016. So it is not a surprise that No_Chanc3 has been chosen as the in-game leader and been handed over the drafting responsibilities. 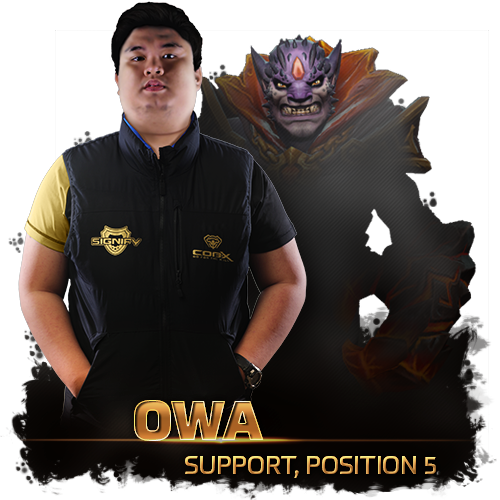 Owa is one of the most experienced players in the SEA scene, he kicked off his competitive Dota 2 career in the old Mineski Squad which competed in the first ever Dota 2 tournament, The International 2011. He was part of the Mineski squad for well over 3 years after which he had a short stint in Action Arena. He later joined the Team Execration and was part of the team which won the ASUS ROG CUP by beating Team Faceless in the Grand Finals. The Execration roster also finished in 2nd place in the Mr.Cat Invitational season 2. However, the team had very limited success following these two tournaments and hence he left Execration before having another short stint in a Happy Feet Roster after which he has decided to join Signify. Marcela ‘KaOLee’ Lala; the former Da TeleTubbies manager who is from New Zealand has also been hired by the Signify team as their manager to take care of the behind the scenes work. Summing up, team Signify has one of the strongest rosters we’ve ever seen in the Indian scene. They will soon begin practicing for the upcoming season from a bootcamp in Mumbai which will be equipped with high-end gaming PC’s, high speed internet with custom routing and other resources. The team will be primarily focused on SEA and India based tournaments like ASUS ROG Masters and the ESL India Premiership: Fall Season and is aiming to be one of the best teams in SEA after the initial settling down period. Team Signify CEO Mujahid ‘Mojo’ Rupani is clearly aiming for the stars with this team. Can Crowley, No_Chanc3 and the rest of the team meet those lofty ambitions? And do we finally have a worthy challenger against Entity Gaming’s dominance in the Indian Scene? The plethora of strength across both the rosters this year gives the impression, at first glance, that we could be in for the most fiercely contested year of Dota 2 action yet, the next few months of Indian Dota look to be unmissable. Disclaimer : At the time of this, AFK Gaming is in a working relationship with COBX Gaming and Signify. TWO OF MY FAVOURITE PLAYERS IN ONE TEAM! HYPE!!!! !